Itineris is committed to providing opportunities to individuals with Autism Spectrum Disorder. The Drew Putzel Creative Arts Program (DPCAP) is a training program within the organization that provides their clients with creative outlets for self-expression, vocational training and skill building, and for some, assistance with establishing their own businesses. With support from the Gutierrez Memorial Fund, Itineris, DPCAP artisans and Baltimore artist, Lania D’Agostino, will create a Gateway Pergola to the Hooper and Rockrose Park in Woodberry. The grant will facilitate a special hands-on partnership between Itineris’ clients and the community through the creation of a public art piece. The Gateway will beautify the environment and create a welcoming space for the entire community. Itineris artisans will contribute the mosaics to adorn the sides the pergola and remain involved with the park’s long-term maintenance. The goal of the Gateway Project is to cultivate awareness and acceptance of autism, as well as provide members of the community, local businesses and DPCAP artisans the opportunity to collaborate and build a network of creative partnerships. To learn more about Itineris please click here. Maria-Theresa Fernandes is a Kenyan born mixed media artist. She studied art in the UK and emigrated to the US in the early 80’s. ‘Travel’ and ‘Place’ are prominent themes that influence both her life and work. Throughout her career, Maria-Theresa has been involved with community work; including various communities from the homeless, women experiencing domestic violence, prisoners, youth-at-risk to seniors. She has taught art to adults with disabilities and is especially interested in working with seniors. With support from the Gutierrez Memorial Fund, Maria-Theresa Fernandes will teach art to senior residents at the Weinberg Place at Levindale. Classes will be conducted two times a week from March through August and include instruction in printing, drawing, stitching, collage and digital photography. The workshops will result in the creation of a mixed-media Wall Hanging, titled ‘My Favorite Things’, illustrating the rich personal stories of the residents. The completed piece will be permanently exhibited in the lobby of Weinberg Place. The goal of the project is to (1) foster the creative spirit; (2) build skills; (3) and engage community through art and storytelling. To learn more about Maria-Theresa Fernandes please click here. 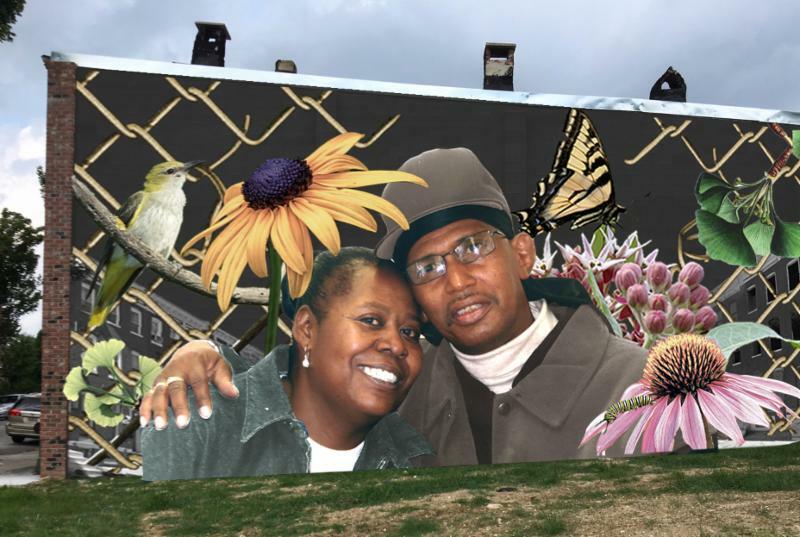 With support from the Gutierrez Memorial Fund, mural artist Justin Nethercut and landscape designer Elise Victoria, will transform a vacant lot in the Penn-North neighborhood into a holistic community space. The project will combine their two practices and result in the production of a large scale exterior mural and park. The landscaping will focus on beautifying the space in a sustainable manner through storm management and the planting of native plants and trees. For substantial impact, the artists will work closely with members of the community; hiring residents to aid in the implementation and maintenance of the park, and collaborating with several Baltimore initiatives, including the Penn-North Kids Safe Zone, to teach children in the neighborhood about art and environmental design. The goal of the project is to revitalize the site and create a safe, public space for residents to engage with one another, use for public gatherings, and reflect on art & nature through the seasons. The project will begin in spring 2017. And check out the recent article from Charm City Streets; an online site which covers public art in Baltimore and the work of local artists. Click here to read their piece on the Carey Street Pocket Park and see the project in progress. Jubilee Arts is a catalyst for social change, using art as a tool for empowerment, community building, learning our history and changing our future. They offer classes in visual arts, dance, ceramics and business in partnership with Baltimore Clayworks, Maryland Institute College of Art (MICA), Baltimore Office of Promotion and the Arts (BOPA), as well as, area artists, writers, and dancers. Jubilee Arts is located on Pennsylvania Avenue, an area with a rich history of African-American culture, and is helping to bring the arts back to life in our community! With support from the Gutierrez Memorial Fund, Jubliee Arts, in partnership with Baltimore Clayworks, will offer a full year art & entrepreneur program called ‘Youth In Business’. 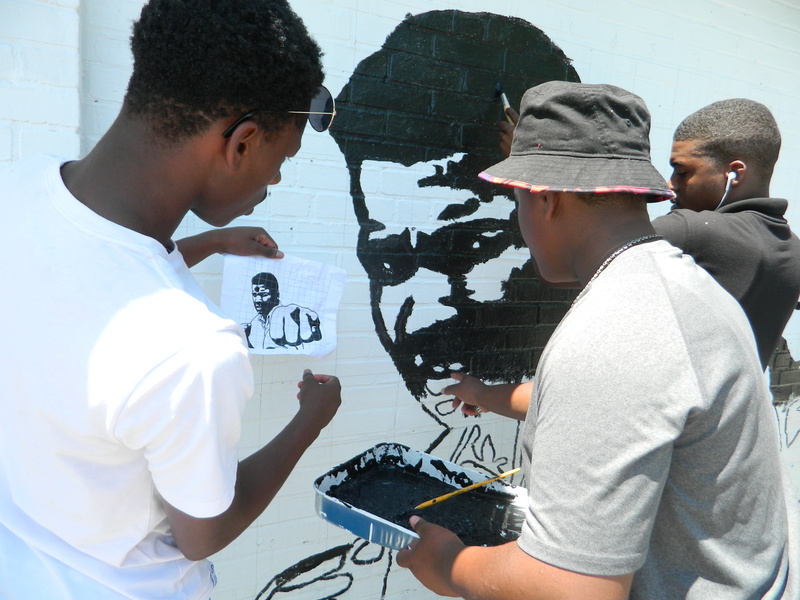 The program will train Sandtown-Winchester youth ages 12-17 in the art of mosaic tile to create, market, and install unique address signs and flower pots as visible symbols of livability and revitalization in their community and surrounding areas. The goal of the project is to provide positive employment opportunities for youth; to expose youth to a positive and successful small business enterprise, and to beautify the community. Wide Angle Youth Media is a 501(c)3 non-profit organization that provides Baltimore youth with media education to tell their own stories and become engaged with their communities. Through quality after-school programming, in-school opportunities, summer workshops, community events, and a Traveling Photography Exhibit, Wide Angle supports young people making a difference through media. Since 2000, Wide Angle Youth Media has worked with over 3,750 youth from across Baltimore City who have produced more than 160 films about their lives and communities. 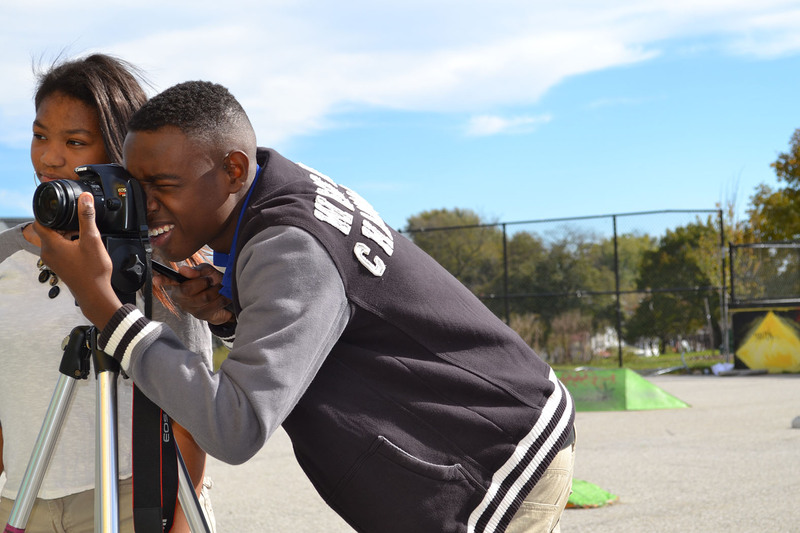 With support from the Gutierrez Memorial Fund, Wide Angle Youth Media (WAYM) will expand its existing programs to root organizational impact within its local community, creating a permanent connection to the Greater Homewood region and its residents. Partnering with Barclay Elementary/Middle School and the 29th Street Community Center, WAYM will train 30 young people in 5th to 8th grade in photography during the spring. A select group of these youth will be recruited to serve as the Mural Design Team; participating in a 6-8 week mural design workshop. By using images generated during the photography workshops as the foundation for student designs, WAYM will create two permanent, high impact installations: a 4’x 20′ photo-based mural within the 29th Street Community Center and a 32’x 5.5′ painted mural installed on the exterior of the Elementary School. Station North Tool Library opened their doors in 2013, with the help of the RW Deutsch Foundation. Their mission is to provide individuals with affordable access to tools; anything from hammers to welders. In the past year, they have developed a thriving tool library. Enthusiasm and support from the community was overwhelming and it quickly became apparent to the SNTL team that access to skills and a workspace was the next thing to address. They submitted their proposal to GMF for the Legacy Grant to develop the public workshop- and after an interview and site visit to the library we knew this was a project GMF would be proud to support. The Gutierrez Memorial Fund’s Legacy Grant has funded the purchase of the equipment, tooling and facility improvements needed to create a safe and functional workshop. We are proud to announce that the space was finished in June, and the Public Workshop is open and operating! 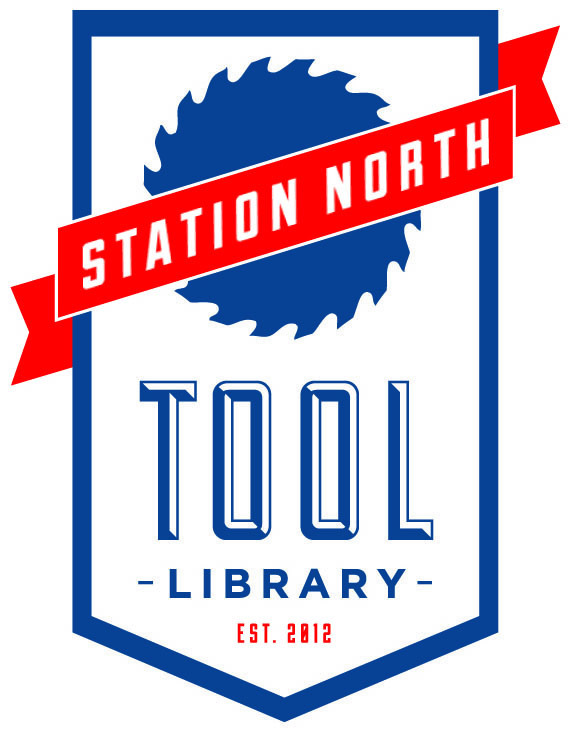 Congratulations to the entire team at Station North Tool Library. ‘Open Shop’ is offered for FREE on Sundays 11am-5pm and Tuesday 5-8pm. Safety classes are $25 and are required for access to the Open Shop. Summer classes included Planter Box Design + Construction, Chef’s Knife Making, Wooden Hula Hoops, and more! To learn more please visit stationnorthtoollibrary.org. Click on Classes/Events to stay in the loop. New classes are developed each season! Access Art is a youth-focused community arts organization based in Morrell Park- and it was their hands-on learning approach that inspired us most. 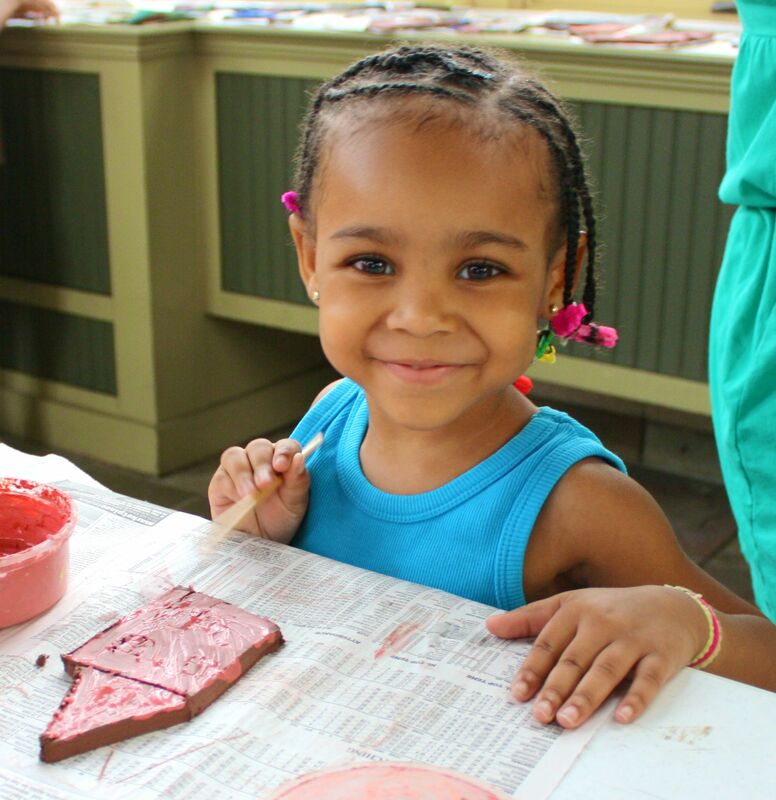 Through artistic expression, students develop social skills, problem solving techniques, and a positive self-image. In 2010 Access Art transformed an overgrown, trash strewn plot of land on Washington Avenue into a beautiful Memorial Garden. Access Art and Community members cleaned the area and produced a mosaic stone pathway and a Living Wall made of railroad ties and incorporated the hopes and dreams of the community. Access Art requested support from GMF to build on the park’s success- and we agreed whole-heartedly! GMF’s Legacy Grant is being used to further develop the project by funding the design, construction & installation of the Children’s Umbrella Sculpture- a public art piece, reaching approximately 15 feet high and spanning 11 feet wide. The intent of the sculpture is to expand the reflective space in the garden, while emphasizing the local youth’s role as agents of change and the importance of creating safe space for children. The team at Access Art created a curriculum based around the theme of “Allies”. They engaged students through a series of creative projects to explore the role of what an ally is, how they can embody the characteristics of an ally, and how an ally can benefit their community, their friends, and themselves. 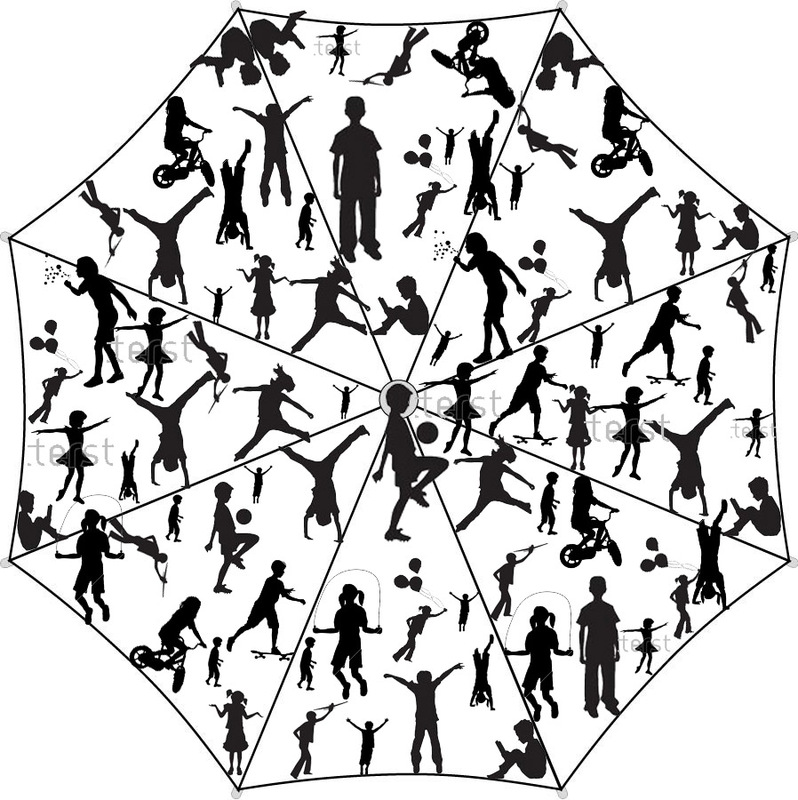 The Children’s Umbrella Sculpture has allowed the youth to further explore this theme. Approximately twenty Access Art students were involved in the planning and creation of the silhouette figures that make up the umbrella’s canopy. They built on their photography and design skills, and their own fun-loving gestures, to create a lace of ‘Allies’. With the design complete the images will be laid out, cut in metal and construction process will begin. 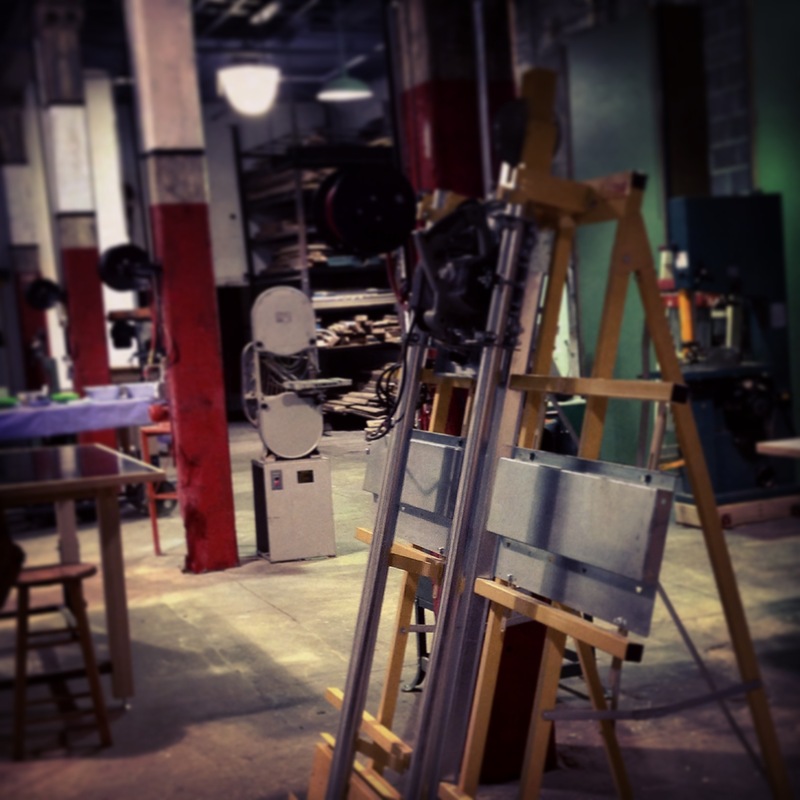 The work is currently in progress and we anticipate installation in the fall. Please stay posted! Westside Elementary School: Trees of Life, is a project of ARTblocks, a nonprofit organization based in Hampden that collaborates with Baltimore communities to transform their neighborhoods into vibrant places which reflect their unique character and spirit. The first step in their approach is ‘creative placemaking’—a visioning tool that enables residents to brainstorm project ideas quickly and expediently. And the second step is to create the project. With support from the Gutierrez Memorial Fund, ARTblocks collaborated with Westside Elementary School to transform the schools façade. The project features colorful mosaic tree trunks created by the students, their families and the Mondawmin community. The theme,“Trees of Life”, incorporated symbols that represent the hopes and dreams of the community. The project is currently installed in the entrance hall of the school for all the children to enjoy. ARTblocks will seek future funding to complete the facade, by creating a living wall- symbolic of the trees canopy, in collaboration with artist, Edmundo Ortega and Westside’s Green Thumb Club. The Bench That Gives Apprenticeship, a project of the Ingoma Foundation, trains individuals from economically disenfranchised communities to produce high quality products, and eventually become cooperative owners of the enterprise. This initiative is the first in a series of innovative partnerships designed to create sustainable communities by incubating locally-owned and operated enterprises. 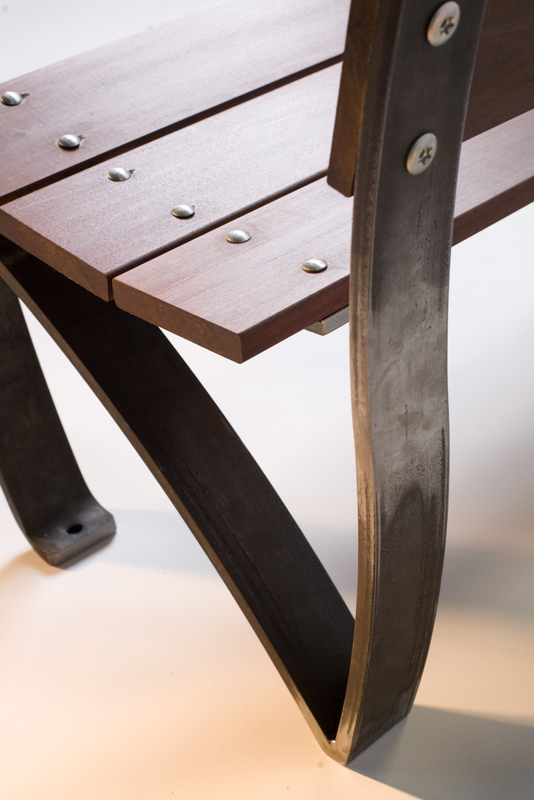 The Bench That Gives Apprenticeship is an artisan training partnership with Gutierrez Studios, recognized for their spectacular design and community commitment.